Tag: A10.32-2010 | Hütter Safety International B.V. 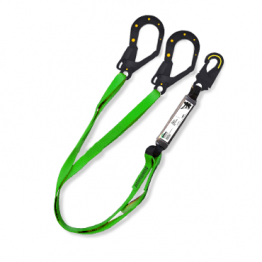 The kernmantle Lanyard DRB is made of a 12 mm kernmantle and shock absorber of polyester webbing. 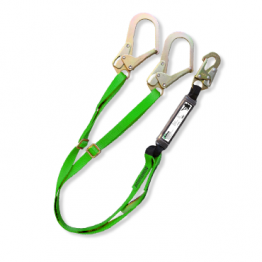 The kernmantle Lanyard SRB is made of a 12 mm kernmantle and shock absorber of polyester webbing. 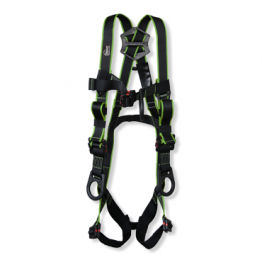 The 4 point H-harness is a multipurpose two colored harness with and 4 attachment points. 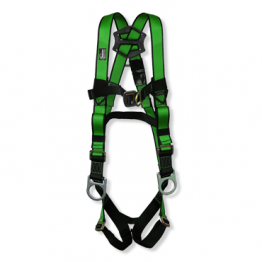 The 4 point dielectric H-harness is a multipurpose two colored dielectric h-harness with 4 attachment points. 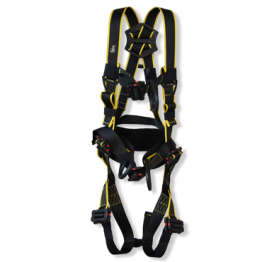 The 4 point dielectric H-harness with positioning belt is a multipurpose two colored harness with and 4 attachment points. The Lanyard DRB is made of a polyester webbing. 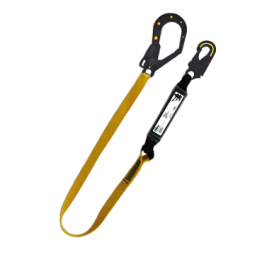 The Lanyard SRB adjustable is made of a polyester webbing. 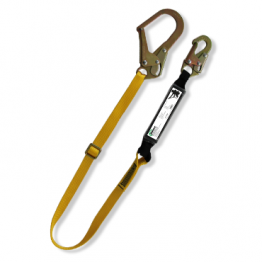 The dielectric sling SRB is specially designed for workers operating in conditions where electrical shock may be generated. The dielectric sling DRB is specially designed for workers operating in conditions where electrical shock may be generated.